If you have spent any time training Brazilian Jiu Jitsu you will definitely be aware that knees are by far the body part most vulnerable to injury. From guard passing to guard recovery, sweeps, throws, scrambles and reversals. All the time the hips and knees constantly moving applying pressure from top position or from the bottom depending on the players styles. Players from the bottom trying to take the base away from the top player by pushing and pulling to shift their centre of gravity. The top player trying to control and pass by clearing the legs and arms of the bottom player. All these changes of direction puts a certain stress on the joints and most times an injury will occur during a transition when one player commits to a pass/sweep and the other attempts to resist it. If the technique is good and the weight distribution is correct there will be no problems, but if there is a slight change in foot position, weight distribution, body angle, a sudden awkward movement by either player or an incorrect application of a technique, an injury is possible. Below is Conor McGregor smash passing half guard with a knee slide and you can see the potential of a knee twist if his foot gets clamped as he pushes through by leading with the hips. 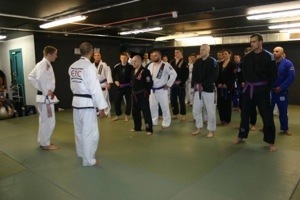 Of course Conor is a high level mma practitioner with a purple belt in BJJ so has drilled this pass a great many times. Most knee injuries sustained during rolling is due to flexibility or more the lack of flexibility in the hip capsule. So it is often found that knee injuries are more common among the lower level belts or with players that are not training regularly. Typical knee injury associated with BJJ? Sprains and tears to the anterior and posterior cruciate ligaments and tears and sprains to the medial and lateral collateral ligaments. 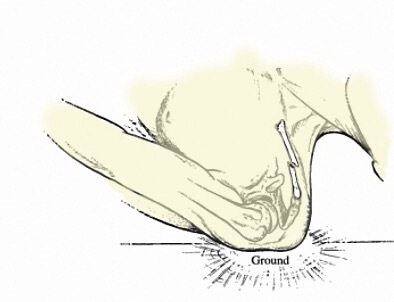 Twisting pressure will aggravate the cruciate ligaments where a force from the side of the leg will put pressure on the collateral ligaments. 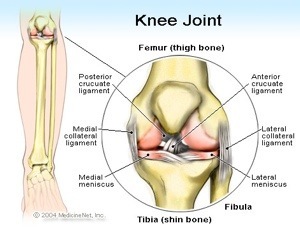 It is also common for a combination of ligaments to be affected. There are levels of sprain from level 1 which is a sprain but no tears,level 2 is a sprain with some strand tears to level 3 which is a complete tear that would most likely need surgery. Recovery times vary but generally a level 2 sprain is about 6 weeks off the mat. Surgery on level 3 could be up to 6 months or more with rehab. So you heard something pop in your knee? If the area is bruising and swelling and unable to hold weight, then it is torn and may require surgery to repair. Follow the RICE protocol and seek medical assistance. If the knee locks up without swelling or bruising it is most likely cartilage damage and as there is limited blood flow to the meniscus surgery may be required to repair. So the steps necessary to help prevent an injury? 1. Train regularly. Drill techniques so they become muscle memory. 2. Warm up sufficiently using dynamic warm ups through full range of motion. Listen to your body and work on anything tight. 3. Work on mobility, particularly the hips, if you don’t use it you lose it. 4. Build up strength around the knee with resistance training and agility drills. Go with a combo of squats swings and agility ladder footwork. Throw in some plyometric work with some bag/box jumps and add in some multidirectional lunges and old fashioned skipping rope intervals to mix things up. 5. Roll smart, especially if you haven’t trained in a while. You might not be as flexible or as sharp as you were so you may not be able to hit some of your fancy go to moves. Stay relaxed while rolling, accept a position if you feel resisting it may cause or aggravate an injury. Rolling is supposed to be fun and a chance to hone technique, this is not the ADCC finals. Don’t try pull off a technique when rolling that you have not drilled live. You may put yourself or your training partner at risk. I’ve always had a fondness for the martial arts and combat sport.Be it boxing, karate,judo or more recently MMA. The recent main-streaming of the UFC and similar organisations has led to a mass increase in cross training martial arts and the opening of such schools/academies to accommodate the new trend. One such school is the Combat Sports Centre in Limerick. I was directed towards them by a co-worker who was also a blue belt in BJJ at the time. I had expressed my interest in martial arts and he suggested I give it a try. So I rolled up to the gym, and spoke to a few of the guys. I had no idea what to expect and was going in with an open mind, a gum-shield and a willingness to learn. 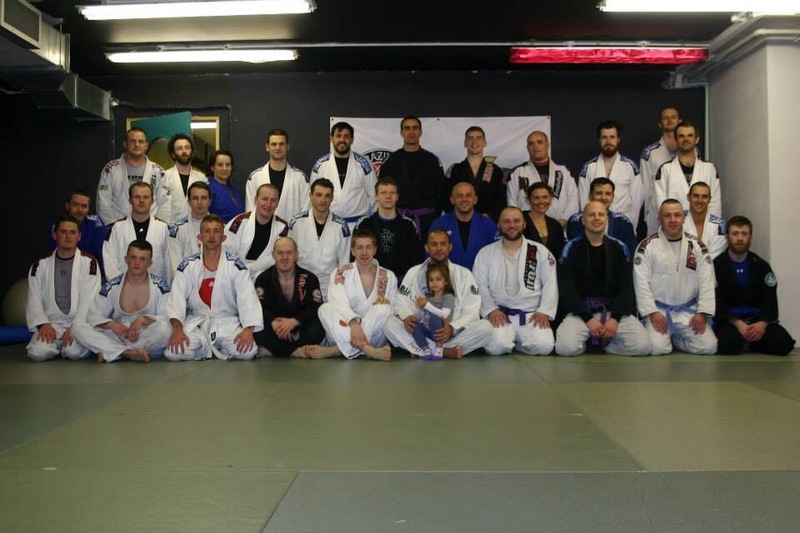 The gym was split in two, in one room the floor was matted and there was about a few guys grappling in BJJ Gi (BJJ uniform,similar to a judo suit). The other room had bags hanging, a small matted area, and padded walls(to emulate clinch work against the cage) basically the MMA side. I was waiting for my Gi to be delivered so I decided to hop into the MMA class. 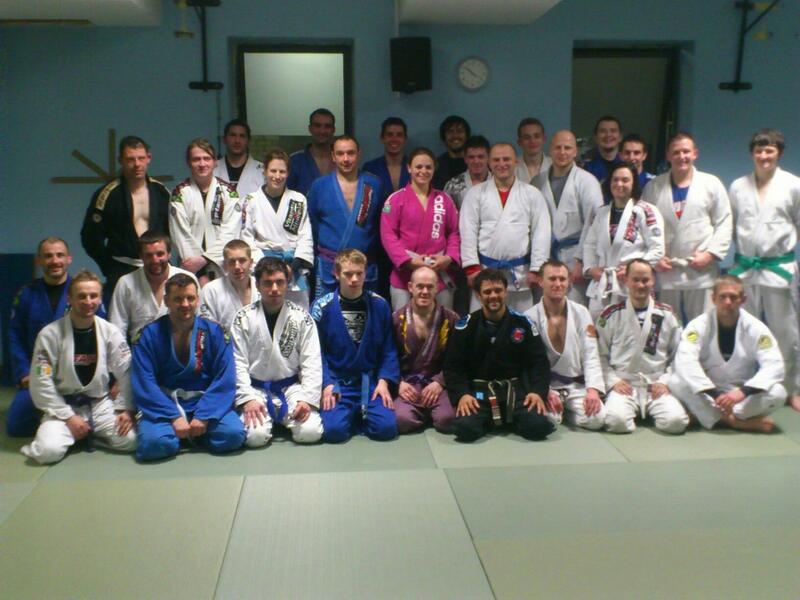 So the following week I turned up for BJJ class with my brand new Gi. I’m thirty eight years old, happily married with four kids,all boys. I work a 12 hour rotating four cycle shift pattern in a contact lens manufacturing plant, not my dream job,it pays the bills and that’s all I’ll say about that. In my spare time I’m a Hardstyle Kettlebell Instructor and a student of Brazilian Jiu Jitsu. I’ve been training with kettlebells for the past 4 years and have been teaching them for the past 18 months and I love it. It’s a fantastic way to get fit and I train with them exclusively and combined with bodyweight exercises they really are highly effective. I’ll be covering my training thoughts and differences in techniques and styles in later posts. I’ve been training /studying Brazilian Jiu Jitsu intermittently for the past 2 years, I had an 8 month hiatus last year to focus on the kettlebell coaching side of things but I really missed rolling (the jiujitsu term for sparring) with the guys. So I try to get on the mats at least once a week. There are a couple of schools of thought on the practice of this martial art which I’ll give my opinion at another time but the video below really showcases the competition side of BJJ. My dilemma is the division of my time between work, teaching kettlebells, practicing bjj and spending time with my family. I teach kettlebells from my home studio on my days off , so technically I’m at home but I’m sometimes teaching between 4pm and 9pm with 10 or 15 minutes break between classes every hour to grab a drink. This means I cannot make the bjj classes on these evenings so I arrange morning training sessions at the academy with some of the other students that work shift/odd hours. So essentially on my day off I could be training bjj from 10am to 12.30pm, get home, shower, eat and be teaching kettlebells from 4pm to 9pm. Pretty busy for a day off right? So what about time for the family? When I’m working the night shift I see them in the morning as I get home before they go to school and in the evening before I go to work. When I’m working day shift I get home before they go to bed. I’m off every second weekend and I find that most people rarely want to train on a weekend so I’m almost always free unless there’s an open mat so I hit the academy for an hour or so on a Saturday morning. And my wife? Well she’s the one. Time is the most precious thing you can give to someone or something, you never get it back. Invest it in something you feel passionate about, whether its your fitness or a martial art, or singing, writing or just sitting in a quiet place for a half hour to gather your thoughts. Make it important for you. you’ll make time not excuses.